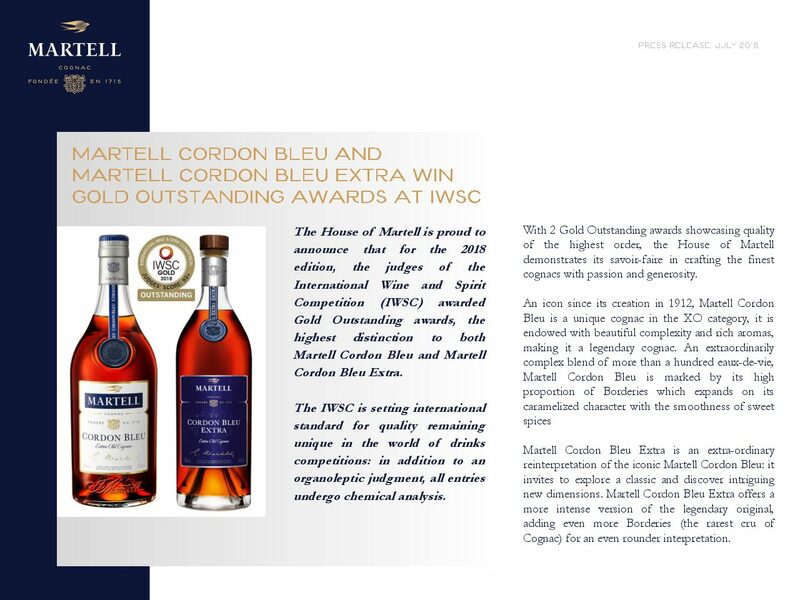 The House of Martell is proud to announce that for the 2018 edition, the judges of the International Wine and Spirit Competition (IWSC) awarded Gold Outstanding awards, the highest distinction to both Martell Cordon Bleu and Martell Cordon Bleu Extra. 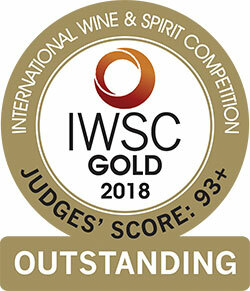 The IWSC is setting international standard for quality remaining unique in the world of drinks competitions: in addition to an organoleptic judgment, all entries undergo chemical analysis. With 2 Gold Outstanding awards showcasing quality of the highest order, the House of Martell demonstrates its savoir-faire in crafting the finest cognacs with passion and generosity. Martell Cordon Bleu Extra is an extra-ordinary reinterpretation of the iconic Martell Cordon Bleu: it invites to explore a classic and discover intriguing new dimensions. 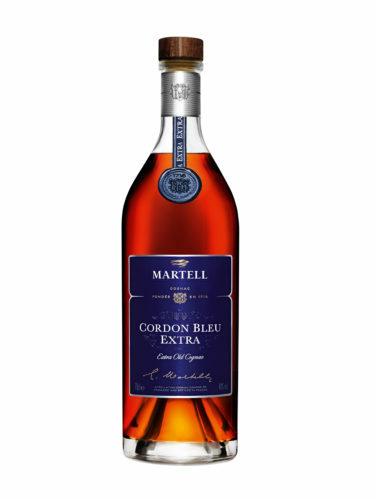 Martell Cordon Bleu Extra offers a more intense version of the legendary original, adding even more Borderies (the rarest cru of Cognac) for an even rounder interpretation.